Kenwick Park is the perfect place for you to learn the game of golf or simply to fine tune your skills to make your golf more enjoyable. Our Head Professional Paul Spence and his team are dedicated to helping you gain more enjoyment and satisfaction from this fantastic game. Paul is a Lincolnshire County junior coach and has achieved a fine reputation in the area for his enthusiasm and dedication in helping golfers of all abilities to achieve their goals. Paul also works on the mental side of the game as a Neuro Linguistic Practioner (NLP Certified) to help you conquer those inner demons. If you are looking for a simple effective way to improve your golf contact Paul Spence on 01507 607161. 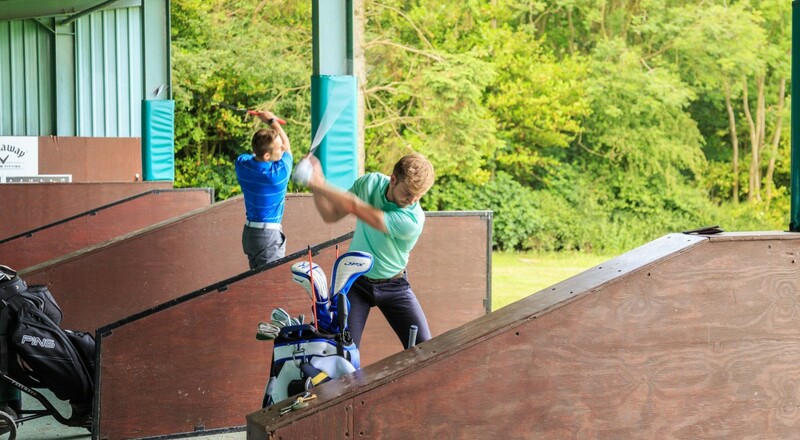 Our first class coaching and practice facilities are some of the best in the area and enable us to offer lessons on every aspect of your game. Our facilities include indoor and outdoor driving ranges, a custom built chipping, pitching and bunker area as well as two putting greens. Group lessons and corporate golf clinics are available on request and can be tailored to suit your needs.